Our members are all parents of twins or triplets - many of whom met others through the club during pregnancy and years later are still great friends. We cover the whole borough of Harrow (Harrow, South Harrow, Pinner, Hatch End, Stanmore, Harrow Weald, Wealdstone) and we have members from further afield (such as Bushey, Hillingdon and Kenton). Our club is very relaxed and friendly. 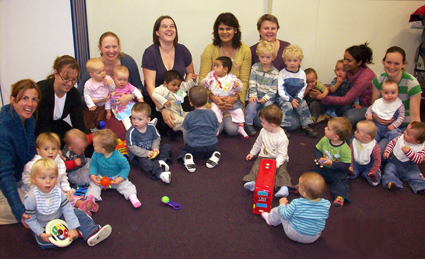 We have a baby/toddler group which meets weekly on a Friday afternoon at the Wealdstone Centre, Wealdstone High St, Wealdstone, HA3 7AE. We also hold regular social activities such as parents' meals, picnics, trips and seasonal parties. Twins club is quite unique because of the age range of the members' twins and triplets. We range from pregnancy and newborn right up to teenagers. So if you have any queries ranging from birth, feeding, nursery, primary and secondary school, we have experience between us. It's a great support system. If you are expecting twins or triplets, have recently moved to this area, or are wanting to make contact with your new babies, we'd love to welcome you to the club.